21 Fun Winter Activities for Kids - Look! We're Learning! Brrrrr!!! Winter is definitely here! It got down to the teens here today, which is exceptionally rare here in Georgia. 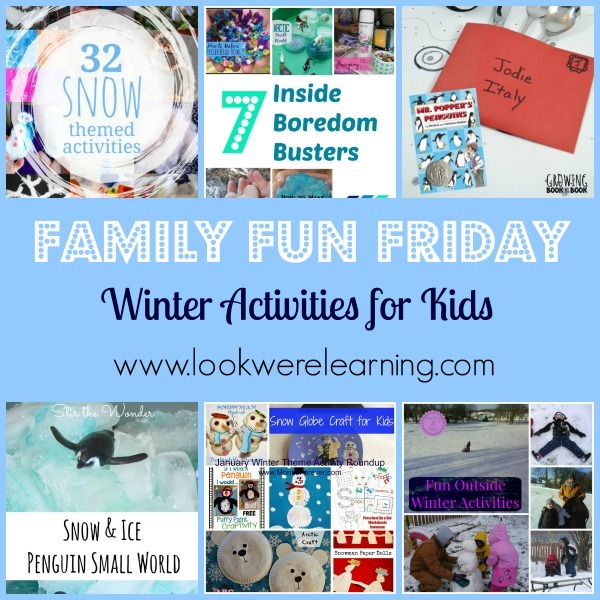 So I thought it would be fun to feature some great winter activities for kids! 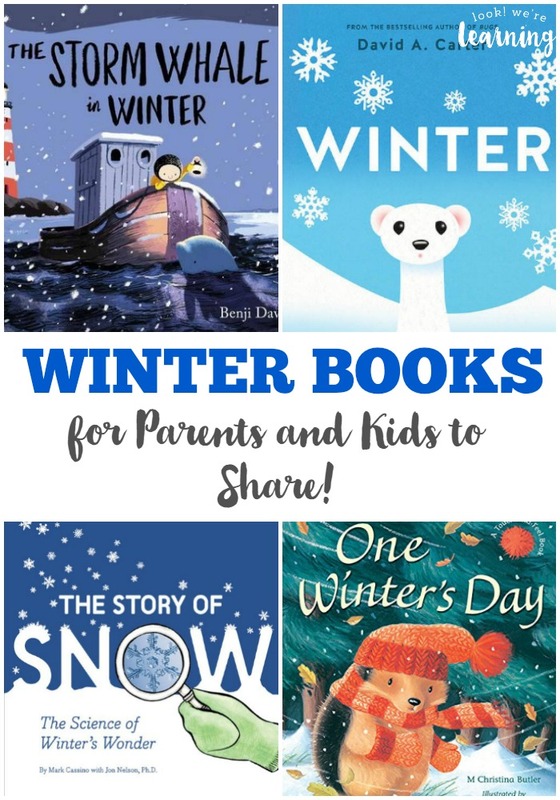 And that’s why I’m sharing the fun winter activities below! 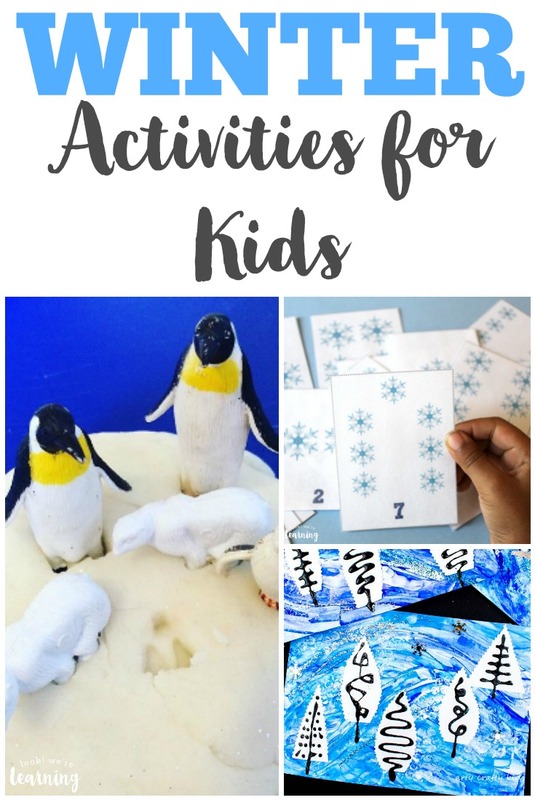 There are cute wintry crafts for little ones, winter-themed early literacy activities, and winter games that are perfect for throwing a snow day party with the kids! 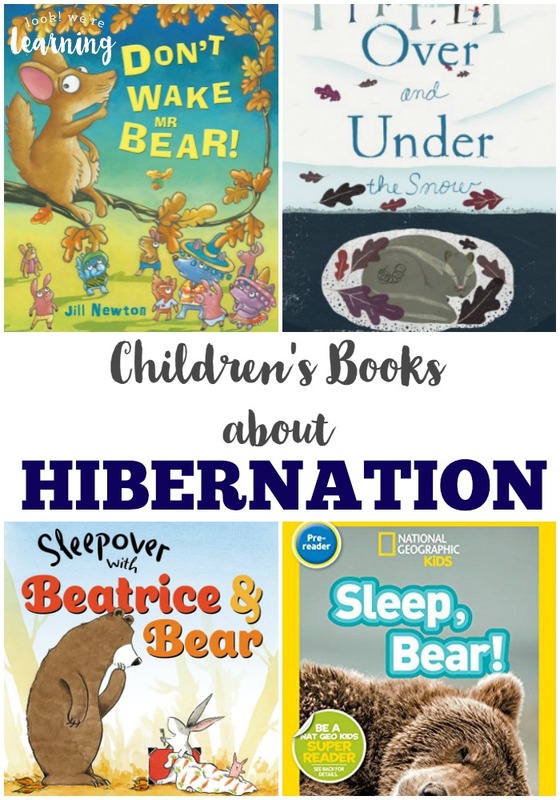 If you enjoy these, take a look at our list of 50 cozy winter books to share with the kids! 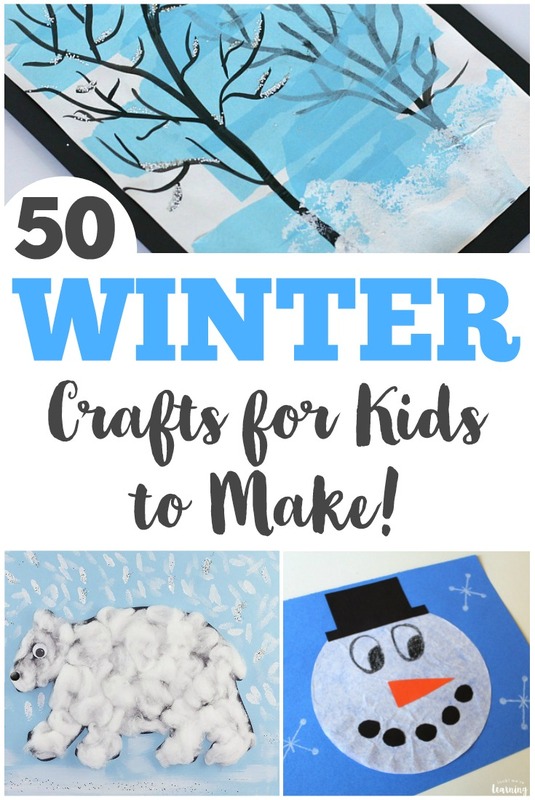 Or get a look at even more art projects in our list of 50 winter crafts! 1. Use these Winter Sight Words Flashcards to practice early reading skills! 2. This Printable Winter Bingo Game is such a cute winter game for kids! 3. Let the kids get some sensory play with this Winter Sensory Bin! 4. Have some Winter Playdough Fun with the little ones! 5. Read some of these beautiful Books about the Winter Solstice! 6. This snowy Winter Slime is a great play activity for little hands! 7. Your little superhero fans will love making paper snowflakes with these Batman Snowflake Templates! 8. These Salt-Painted Snowflakes are beautiful! 9. Make these simple Winter Candle Luminaries for some soft winter light! 10. Kids will love trying this Snow Crystal Science Experiment! 11. Get to know animals that live in the Arctic Circle with these Arctic Animal Flashcards! 12. 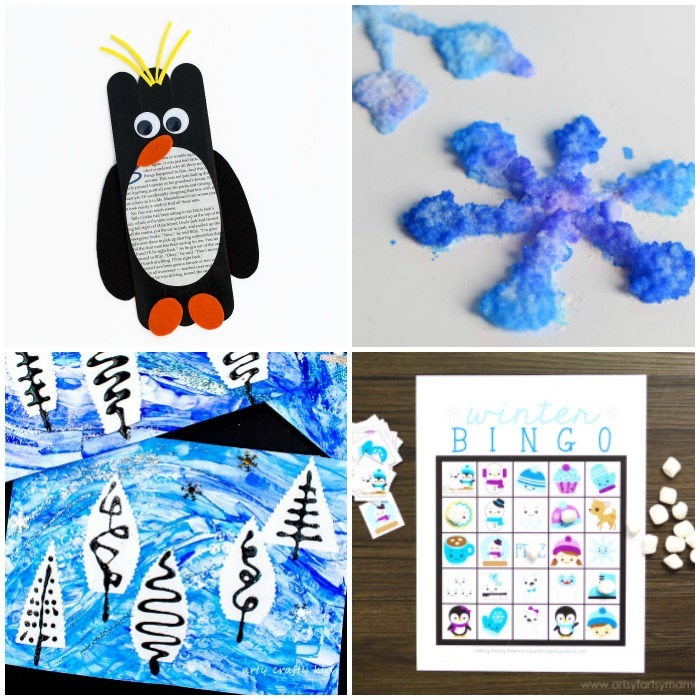 Introduce the kids to abstract art with this Abstract Winter Art activity! 13. This easy Simple Snowman Sensory Bin is so simple to set up! 14. Kids will love making this Sticky Yarn Snowflake Craft! 15. The Yeti might be a legend, but this Cardboard Tube Yeti Craft is so adorable! 16. Preschoolers will love making mixed media art with this Winter Bubble Wrap Tree Craft! 17. Make some feathered friends with these Craft Stick Macaroni Penguins! 18. Let the kids use these Preschool Snowman Printables for early learning! 19. These Watercolor and Oil Pastel Resist Snowflakes are so pretty! Let the kids hang them in the window! 20. Get some fine motor skill practice with these Yarn-Wrapped Snowflakes! 21. Practice simple counting with these printable Snowflake Counting Flashcards! Like these fun kids’ activities? Take a look at these other learning ideas and crafts! See even more fun ways to spend winter with the family on my Winter Activities for Kids Pinterest board! And receive exclusive learning ideas and printables in your inbox when you sign up for our email newsletter! Thank you for featuring my inside activities! I hope you have a wonderful weekend. Thanks for featuring our Snow & Ice Penguin Small World!